High quality made from pure cow’s milk. 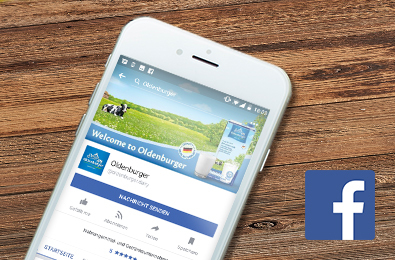 Follow Lara on her visit to our farmers and have a look behind the scenes of Oldenburger. 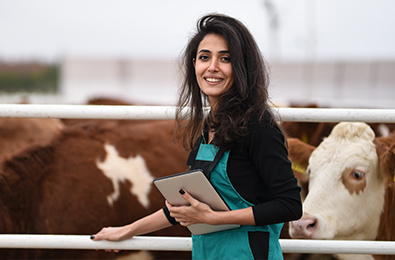 Find out how our farmers take care for their cows and farms and learn about their dedication to providing raw milk of only the highest quality. Get inspired by delicious Oldenburger recipes: No matter if you want to start your morning with a healthy breakfast or end your day with a rich family dinner, Oldenburger products will always provide the best taste and highest quality to your kitchen. 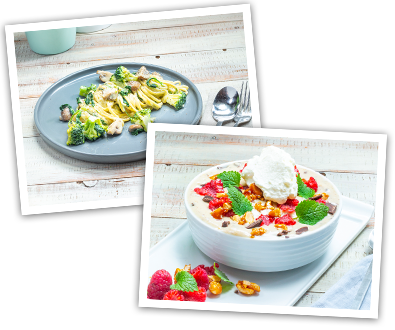 Click here for our nutritious recipes that you and your family will love! Follow us to receive delicious and healthy recipes for you and your family to enjoy. 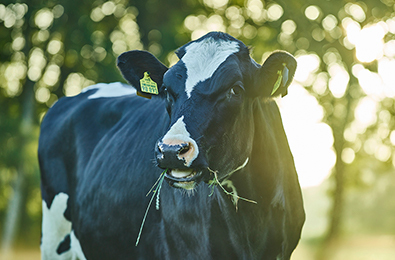 You can also find out more about our dedication to high quality dairy products and our German origin. When the spring gets closer after the cold, dark winter, Germany enjoy the mild temperatures by going on walks, bicycle tours and, of course, visiting family over Easter. 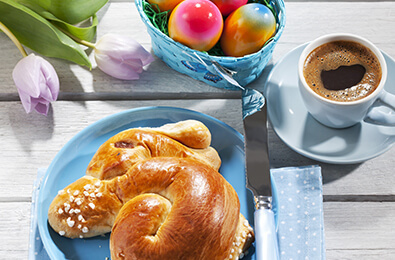 You can find out more here about why this holiday is the most exciting treasure hunt of the year for children and just what delights Germans enjoy at Easter. The Oldenburger milk comes mainly from Northern Germany. This area is characterized by green meadows, a fresh breeze that comes from the sea and many friendly people. 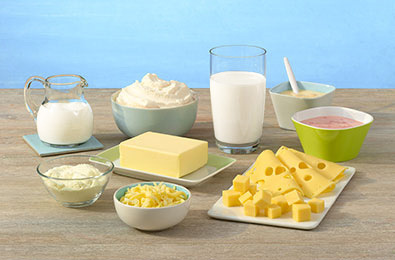 Oldenburger dairy products are strictly and comprehensively tested. No part of the production cycle from raw milk to end-product which is not monitored, analyzed and logged. The quality is not only ensured through internal monitoring but also by independent external institutes. Thus Oldenburger consumers can be sure to enjoy healthy and safe products. Milk is a product full of goodness for many. It is a proven source of calcium and protein and thus e.g. helps to promote kids’ growth. However, milk is a natural product which needs special attention to keep it enjoyable. 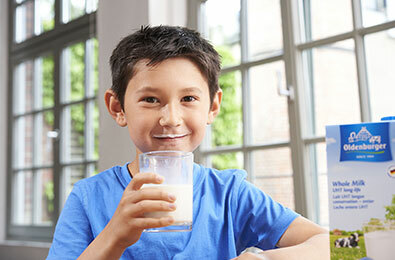 Learn more about the benefits and needs of dairy products. Milk is a very versatile raw material. Learn more about what to make out of it and how to enjoy dairy products. You have further questions or are a B2B customer looking for a quote? Please get in touch with the Oldenburger team here!